The fact that Cornwall is such a beautiful and photogenic county has not been lost on the folks in the world of TV and cinema. 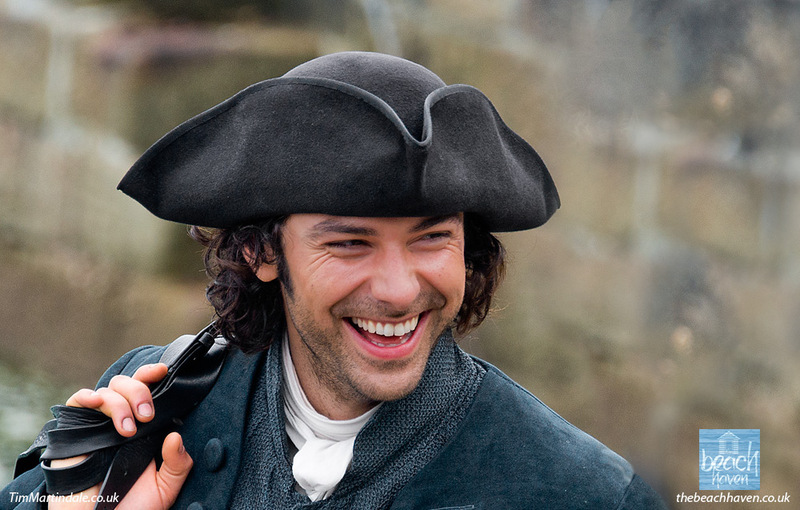 It’s as much as a film-star as Aidan Turner in Poldark’s Cornwall! Poldark fever continues to sweep, not only the country, but across the world too. With Series Four just finished in the UK, Cornwall will be getting plenty more welcome exposure. Series Five has already been commissioned and is due to start filming in September and October. If you book yourself an autumn break you might be lucky enough to watch some filming in progress! 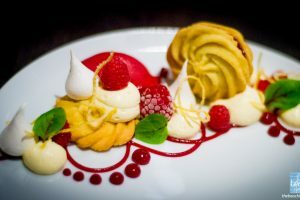 Check our availability here. 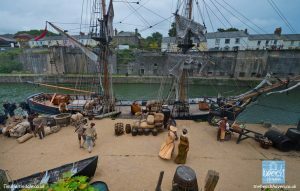 As a photographer, Tim was lucky enough to photograph much of the filming of the first series and knows the precise location of virtually all the various Cornish scenes. Some are better known than others but we have a unique one-off information pack available at The Beach Haven detailing all the well-known and ‘secret’ locations. 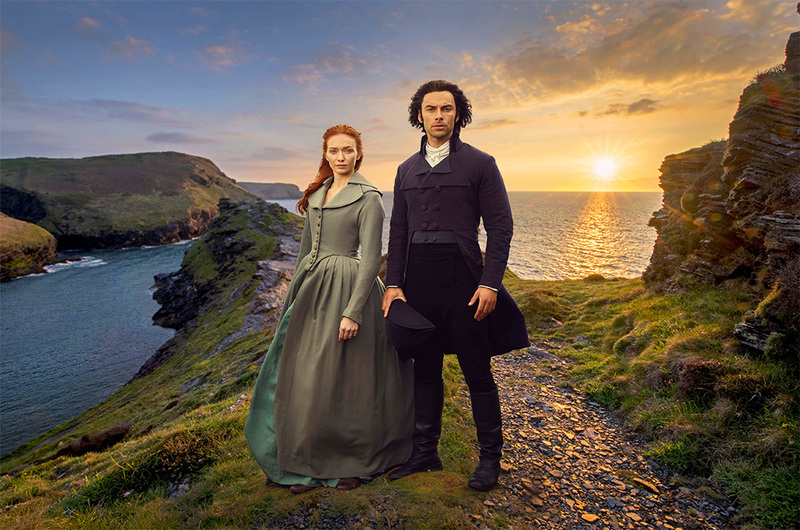 One of this year’s promotional photos shows Ross and Demelza on the cliffs at Boscastle (just fifteen minutes drive from the Beach Haven). 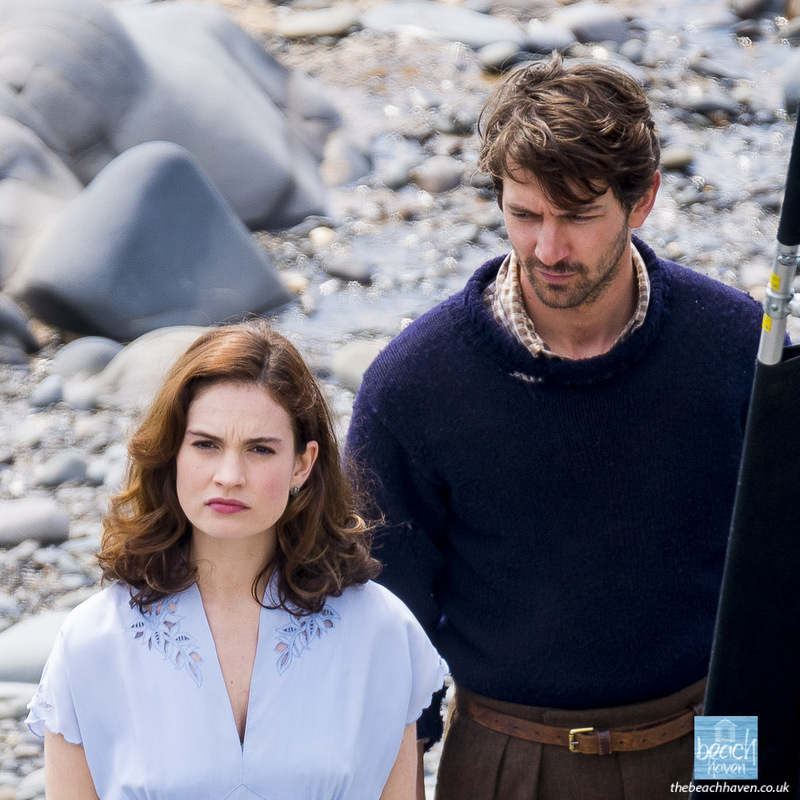 One of this year’s most charming cinema releases, ‘The Guernsey Literary and Potato Peel Pie Society‘, starring Downton Abbey’s Lily James and Games of Thrones star Michiel Huisman, was shot in north Cornwall and north Devon last spring. It featured many familiar and spectacular cliff-top locations as well as the gorgeous little fishing village of Clovelly. 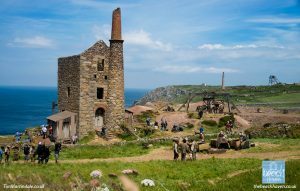 Another block-busting production filmed on our coast is Doc Martin. 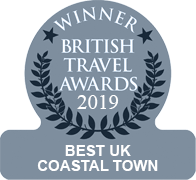 (See our Doc Martin blog here) It is set in the picturesque village of Port Isaac approximately 20 miles down the coast from The Beach Haven. 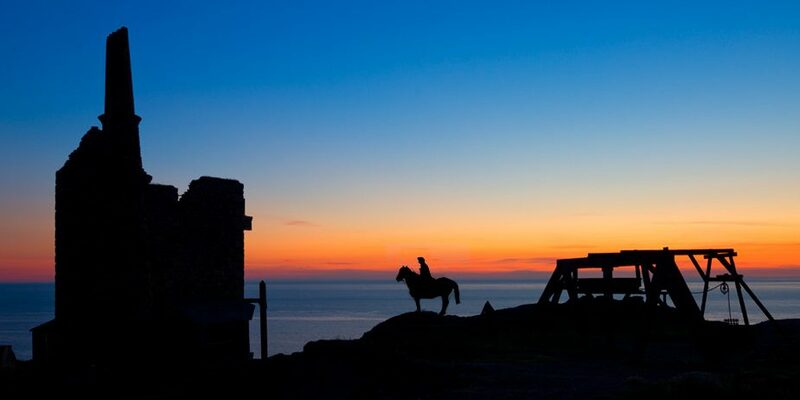 In addition, many scenes have been filmed even closer such as Crackington Haven and Tintagel. 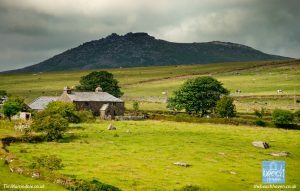 Bodmin Moor is a common location to both Doc Martin and Poldark and is an easy fifteen-minute drive away. 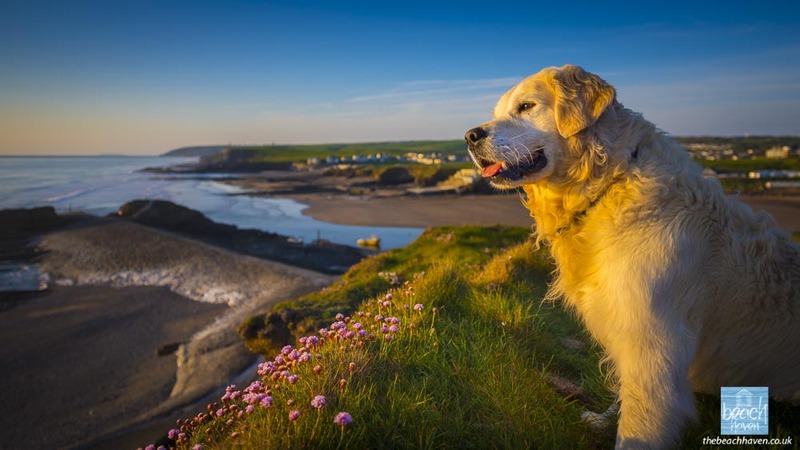 Series Nine (which is rumoured to be the final series) is due to start filming in April/May/June next year (2019) so why not book yourself a holiday at The Beach Haven and watch a bit of street theatre in Port Isaac. The cast and crew are extremely welcoming of all visitors who turn up to watch the filming and there is a general feeling of bonhomie in the village. 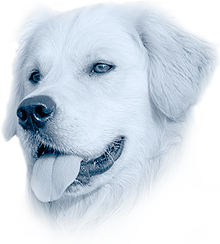 Martin Clunes is unfailingly cheerful and always goes out of his way to say hello to any dogs as well as pose for countless ‘selfies’. Ian McNeice, the actor who plays Bert Large is extremely popular in the community and is often seen out and about selflessly fundraising for local causes. We currently have good availability for the filming period – check here. 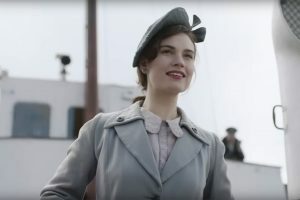 Other recently shot productions include the BBC serialisation of Agatha Christy’s ‘And Then There Were None‘ which also featured Poldark’s Aidan Turner and the forthcoming Tim Burton film ‘Miss Peregrine’s Home for Peculiar Children‘. It stars Samuel L. Jackson, Eva Green and Dame Judi Dench and is released on 30th September. 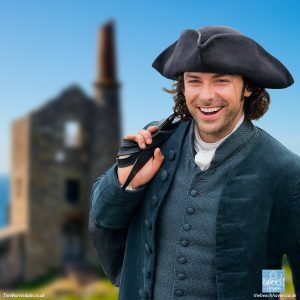 Tom Hardy was also in Poldark’s Cornwall filming scenes for the forthcoming mini-series ‘Taboo‘. Taboo follows James Keziah Delaney, a man who has been to the ends of the earth and come back irrevocably changed. Believed to be long dead, he returns home to London from Africa in 1814 to inherit what is left of his father’s shipping empire and rebuild a life for himself. But when his father’s legacy is revealed to be a poisoned chalice and enemies lurk in every dark corner, James must navigate increasingly complex territories to avoid his own death sentence. Encircled by conspiracy, murder, and betrayal – a dark family mystery unfolds in an explosively colourful tale of love and treachery. 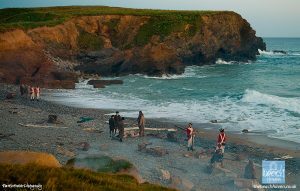 Another regular to Poldark’s Cornwall but not well known in the UK is a German dramatisation of the Rosamund Pilcher series of books such as The Shell Seekers. These adaptions are immensely popular in Germany. 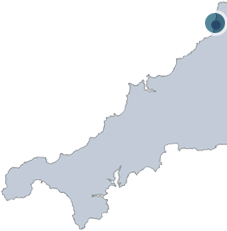 Four feature-length programmes are shot in Cornwall each year! 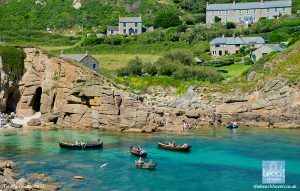 If all this has whetted your appetite for a holiday in Poldark’s Cornwall – check our availability here. Posted June 8th, 2018 in News.